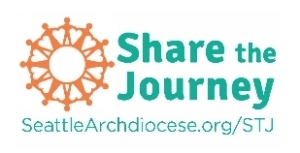 Archdiocese of Seattle supports YWAMFHH food bank via the Catholic Relief Services Rice Bowl Grant. Gleanings for the Hungry is a Christian, non-profit organization. It operates as a mercy ministry arm of Youth With A Mission. Our mission is to help feed the hungry of the world both spiritually and physically. In the summer, we sun dry peaches and nectarines. We also produce a dried soup mix from bulk dehydrated vegetables. We have provided much needed food to approximately 100 countries around the world. Gleanings is located in the San Joaquin Valley, near Fresno, California. If you are looking to partner with YWAM Faith Harvest Helpers, please send an email to contact@faithharvesthelpers.org or call (360) 339-4726.